Hand made in Japan of mix kozo/sulphite neutral pH 4 natural deckles. * Its name comes from the mulberry plant from which the kozo fiber is taken. 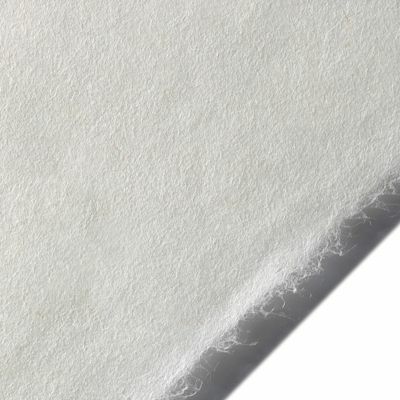 * Lightweight and soft it is strong and very versatile. 33.5" x 25" x 1"